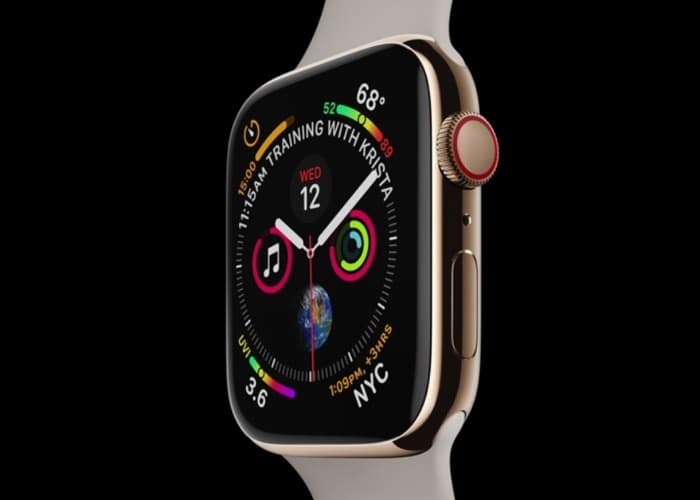 As expected Apple has unveiled a new Apple Watch Series 4, during todays presentation at the Steve Jobs Theater. 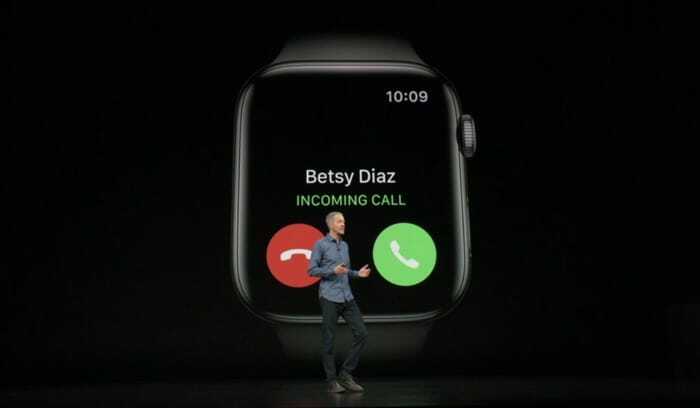 The new Apple Watch 4 is fitted with a new display offering 30 percent more screen space with minimal case increase. The Apple Watch 4 is now thinner than previous designs and materials used in the construction include ceramic and sapphire. The Digital Crown has been reengineered and now includes haptic feedback for users providing feedback from the calendar and pod cast apps for example. 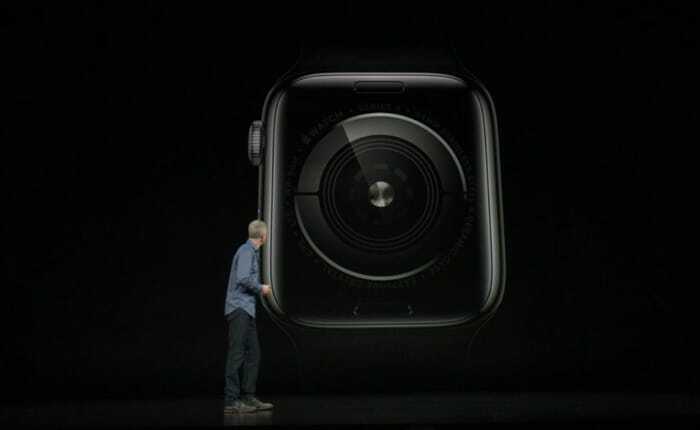 The internal speaker is now 50 percent louder and the microphone has been relocated to the opposite side of the Watch away from the speaker to reduce interference and improve clarity during calls. 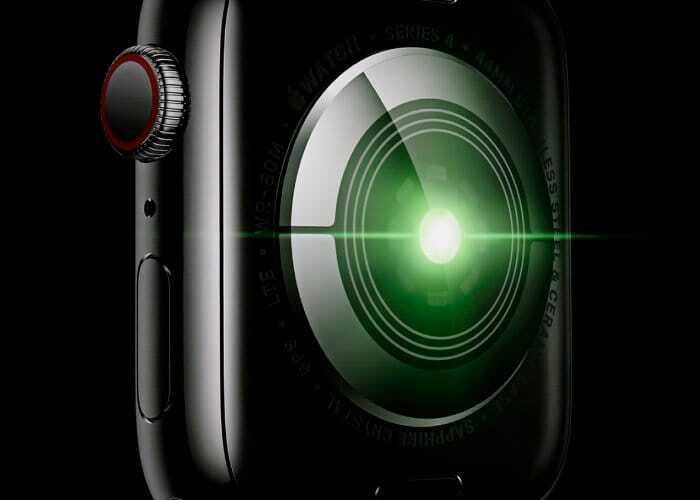 Internally the Apple Watch 4 is powered by a 4th Generation S4 chip with dual-core 64-bit processor and new GPU offering twice the performance of the previous generation of Apple Watch devices. Apple has also fitted a new accelerometer and gyroscope, and the Watch is capable of detecting if you fall. Calling the emergency services or family if a fall is detected. 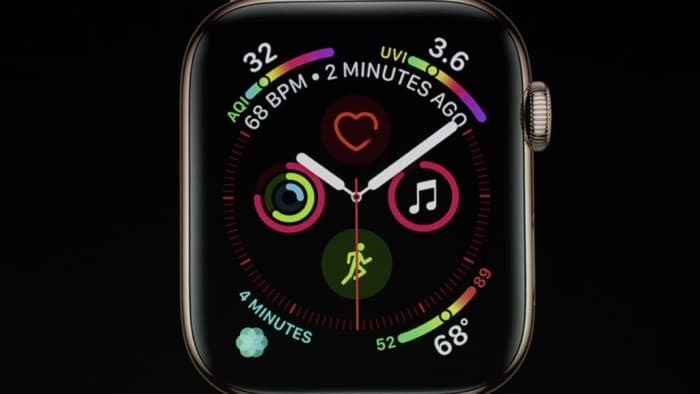 Apple Watch can also detect abnormalities in a wearers heart rate thanks to a new electrical heart sensor built into the backside and the irregular heart rate alert will trigger when enabled. 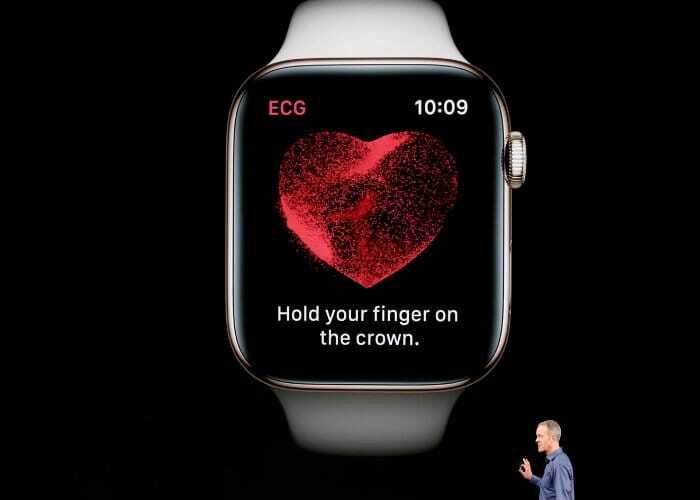 Although Apple warns it might not catch every instance of “atrial fibrillation” but could help those diagnose the issue that had no prior knowledge thanks to the ECG technology and FDA approval. Apple’s Mindfulness app is now available as a watch face offering three variations to choose from and Apple has created interactive watch faces such as water face with bubbles that “splash off the edges.” The new modular Watch face has been redesigned to provide access to more widgets from one screen. Even with all the new features the battery life remains the same providing a full days use on a single charge. 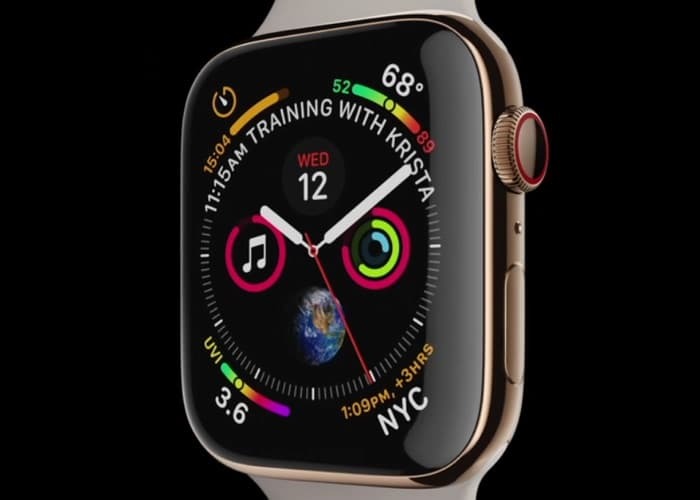 The Apple Series 4 Watch will be available in silver, gold and space grey finishes and any watch band styles from previous models fit the Watch 4 pricing will start $399 with GPS and with LTE starting at $499. The older Series 3 Watch will remain priced at $279. Pre-orders for the new Apple Watch 4 start this Friday, September 14th 2018 with shipping commencing one week later on September 21st 2018.